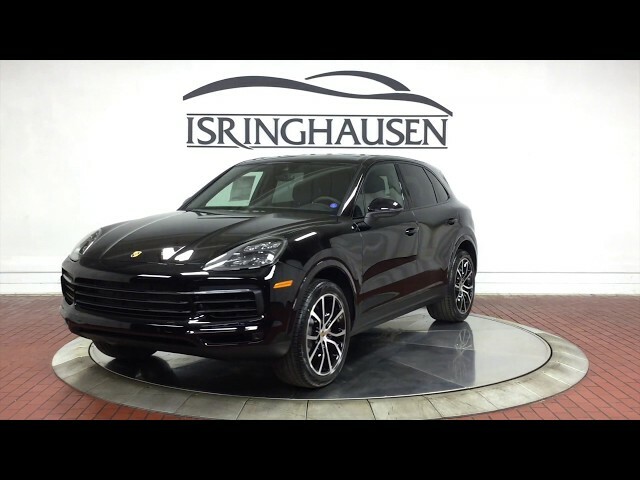 Factory options on this all new 2019 Porsche Cayenne in Black include Premium Package Plus, 21" Cayenne Exclusive Design Wheels, Gloss Black Window trim plus a long list of all new standard features. With a new, dynamic design plus outstanding digital connectivity that brings the whole world into the cockpit, the all new 2019 Porsche Cayenne brings versatility, quality and new cutting-edge systems that make the Cayenne experience ever more fascinating. Contact a Porsche sales specialist today by calling 877-362-9715. Isringhausen Imports is Central Illinois' premier new car, used car and certified pre-owned (CPO) dealership for quality BMW, Porsche, Volvo and Mercedes-Benz vehicles. At Isringhausen Imports, we have become a leader in the industry by working each day towards the greater good of our customers, our fellow employees, and our community.